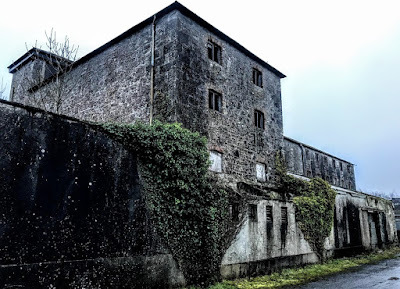 I have been writing these days about how there are still signs in Askeaton that this was once a thriving, trading port on the Shannon Estuary, shipping grain, corn, cattle and agricultural produce to and from Limerick. 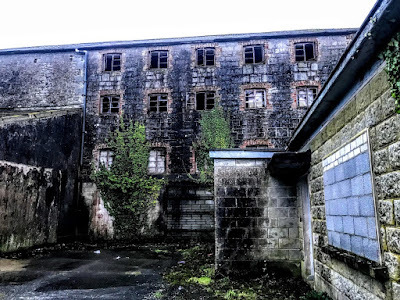 Two clues of this past are provided by the derelict Victorian corn warehouse on the Quay and the former Tall Trees Nursing Home or Abbey Lodge, which was once the miller’s house. Abbey Lodge stands on the east bank of the River Deel, beside the site of the former Abbey Mills. The Abbey Mill may have originated with a mill established by the Franciscan friars to utilise the power available from a small stream as it fell from a significant height into the River Deel as it flowed swiftly into the estuary of the River Shannon. The succession of waterfalls on the river upstream of the town was used for milling and the mill site at Aghalacka may have served the castle from an early date. The River Deel is navigable up to Askeaton at high tide and this facilitated the establishment of a significant fishing industry that existed until the mid-20th century, and it also allowed for the export of corn and flour to serve the local economy. Abbey Mills is a substantial mill complex with a frontage of about 30 metres to the River Deel, and stretching back more than 90 metres. Beyond this to the east there is a sluice at the roadside that originally governed the water supply to the mill wheel. 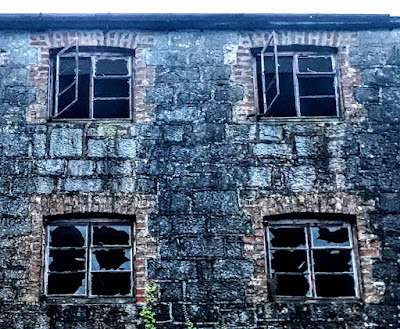 The two main surviving buildings from the mill complex are four storeys in height and built of limestone, with a dressed stone façade to the river. The larger building, at the water’s edge, was built in 1796 and is three bays in width and 10 bays in length. The smaller building is two bays wide and four bays in length. The roofs are hipped and slated. This was originally a corn mill and in the 20th century was used as a creamery. Although no longer in use, the buildings retain many of their original form and features, including brick surrounds, timber battened doors and slate roofs. The tooled limestone walls lend textural interest to the buildings. The Condensed Milk Company of Ireland acquired the mill in 1909 and it was used as a creamery from 1927 until recently. The mill complex has been vacant for some years since the plans to develop an hotel on the site were abandoned during the recent economic crisis. 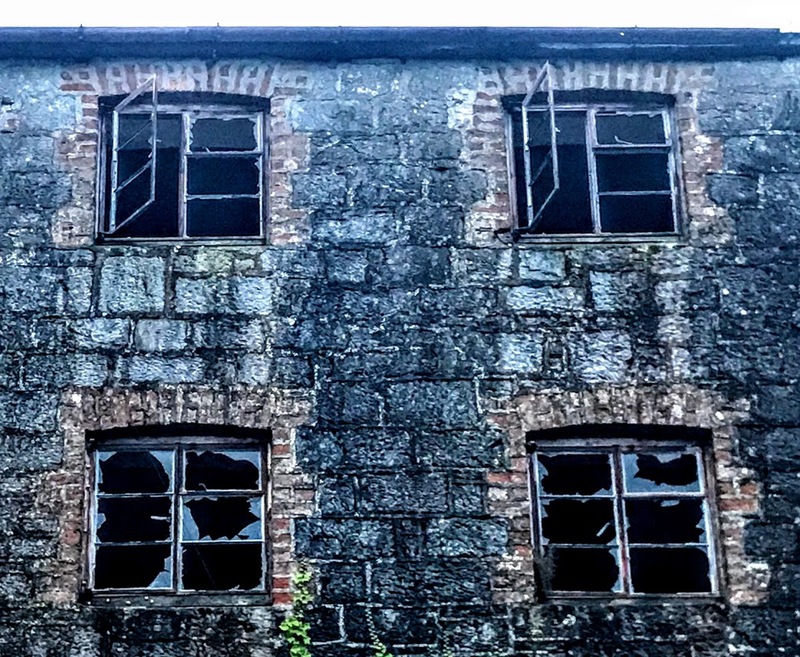 But these buildings retain their architectural, technical and historical interest, and they are a reminder of the industrial heritage of Askeaton.